What a great sharpener. 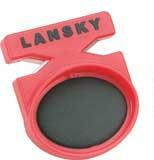 Lansky have got to make the most user friendly and well made sharpeners in the World. This is no exception, it has Tungsten carbide teeth set at the perfect angle for mot cutting tools. It has a full hand guard so they are probably the safest you can use and they are built very well. Red hard wearing plastic with a black rubber grip with a thumb position makes them a great ergonomic non slip design. 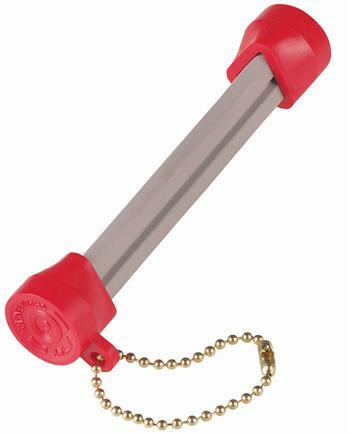 Great for sharpening longer blades but just as good for sharpening an axe or smaller knife.